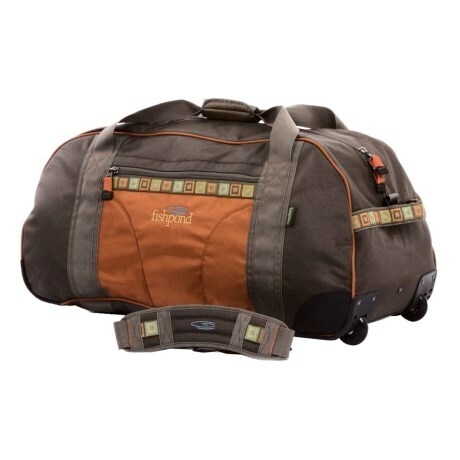 Closeout Fishpondand#39;s Bumpy Road cargo duffel bag is designed to haul gear while youand#39;re camping, fishing, hunting and on road trips. Three rod tube straps down the center holds a 30and" fishing rod tube. Available Colors: STONE.